During which I made a wee promise to make similar posts in the future.Well, here we are. It is December 31st 2015, and here are the list of the most popular posts from 2015. While off grid real estate and archery were the big topics in 2014/Prior, the big topic in 2015 was definitely Archery, taking both the top spot and 6 of the top 10 spots, and therefore dominates this 2015's list of the Project Gridless's Most Popular Posts. Part of this is probably due to me writing more posts about archery. So blame the author. I should also note however that the top post was so ridiculously popular that it was more popular than the other 9 from the top 10 combined. It just went viral. #1 - Compound Bows made of Wood - Went viral. Woot. #7 - Are we due for a new Ice Age? I should note however that the 2014 list is *currently* still more popular than everything from 2015. As popular and as viral as the post Compound Bows made of Wood is, it still has not reached the point where it has surpassed any of the top 10 from 2014 or previous years. Chalk that up to staying power and the fact the older posts continue to grow in popularity, whereas 2015 is comparatively a newborn (even though 2015 is almost now over), will need time to catch up to the popularity of the older posts. #1. 25 Examples of Off the Grid Homes + Green Architecture - 2013. #2. How to find off the grid homes - 2012. #3. The Treehouse Idea - 2011. #4. How to Buy, Design and Build your own Shipping Container Home - 2014. #5. 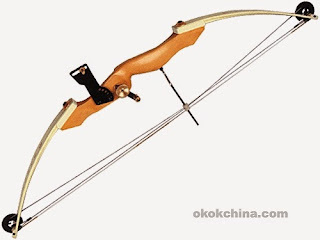 PVC Longbows and Double Limbed Bow - 2013. #6. 8 Real Estate Websites that Specialize in Off The Grid Homes - 2014. #7. 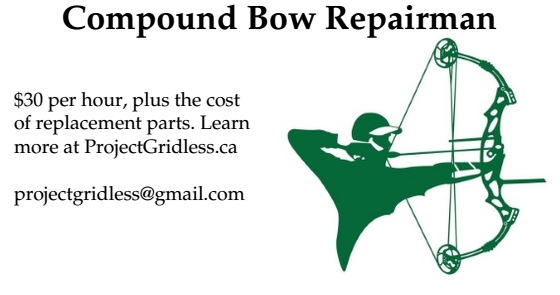 How to make your own Bowfishing Reel - 2014. #8. Making a Homemade Crossbow - 2014. #9. 100th Post of Project Gridless - 2014. #10. Tillering and Staining my New Longbow - 2014.